Finally, summer is in full swing, and I can live and breathe one of my favorite obsessions: scents. 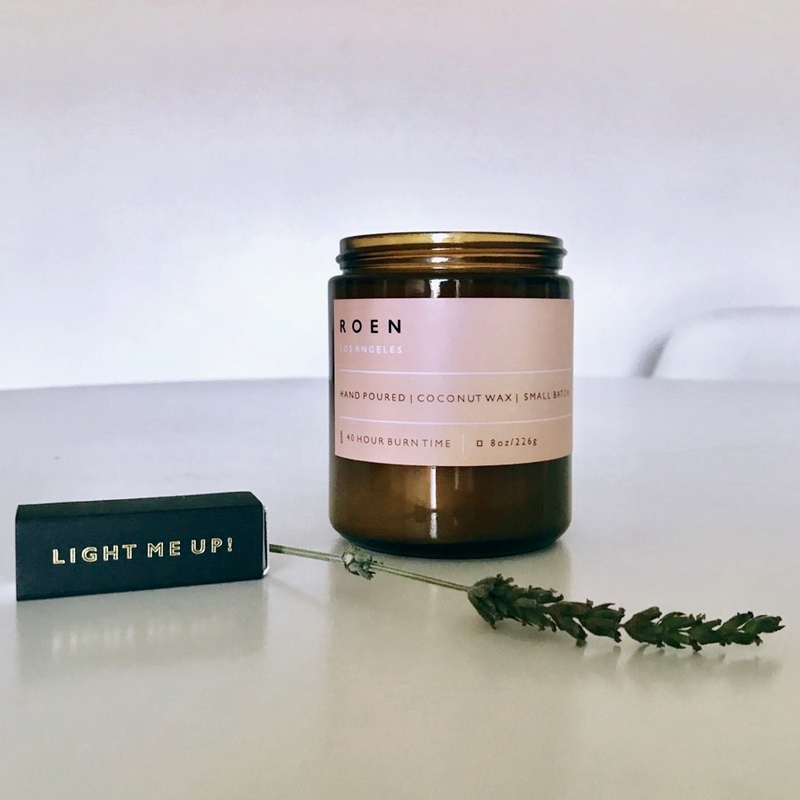 For those who love a lighter scent, I did a deep dive to find some candle brands appropriate for the airy summertime, but light enough to not take over the room. One of the my favorites is Claudette by Bijou. 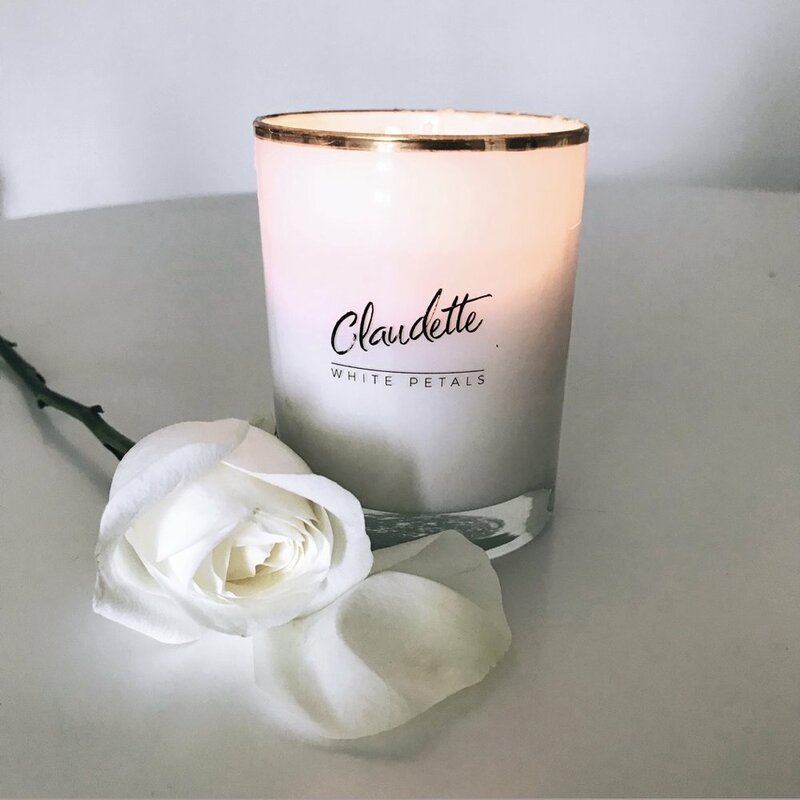 The notes are lily, jasmine and tuberose woven in with vanilla and musk, but this candle is lighter and ideal for summer. It's not too strong, but fills up the room. My only qualm about the candle is that it doesn't burn completely evenly. The candle sits in a 22-karat gold rimmed vessel, and fit right in next to a bouquet of white roses. Next up is Garden Party by Circle 21. This candle is described as a sweet floral blend of jasmine, violet, and plumeria with undertones of sandalwood and musk for a "not-too-sweet" fresh floral. And that is exactly what you get with this scent. It's a match for me, since it's not overpowering in the sweet department and gives a strong floral scent while still feeling balanced. What I love the most about Circle 21 is that they pour their candles into recycled wine bottles. You can choose white or green bottles and they spruce up any area of the home adding a personal touch. I recommend this candle as a gift to anyone, especially yourself! My next favorite might actually be a year-round favorite. Of course, I'll be doing a Fall, Winter and Spring favorite, but whiskey in the pines by Otis + Leaf makes me feel at home no matter the season. The scents are an earthy blend of pine, sandalwood, amber and vanilla, but the amber and vanilla come through just enough to make this a summer scent for those who stray from florals. I also adore the packaging on these candles (they come with a linen bag), making them a great gift for any occasion. The final candle I recommend for summer scents is TERRE by R O E N candles. It's the ideal candle for someone looking for a refreshing summer scent but isn't too into florals. The candle captures California's Bohemian Grove Trails, known for more earthy notes. Citrus and sage are mixed with oakmoss, musk and sandalwood making the perfect candle for any room in the house. I would absolutely burn this candle year round, but definitely during the summer.